Is it a game-changer? Probably not. Plus: Amazon joins the ranks of the world's biggest marketers. 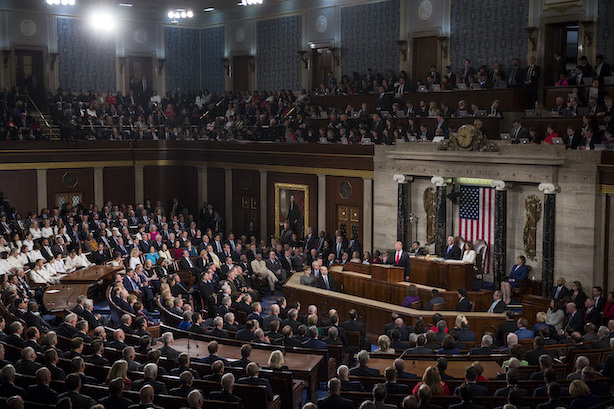 President Donald Trump’s State of the Union address received mostly positive reviews from viewers. Two-thirds (66%) approved of the speech, while 24% disapproved, according to a CBS News poll. The caveat: as is the case with all State of the Union addresses, viewership leaned heavily towards the president’s own party. President Trump’s calls for a sudden shift to bipartisanship and a compromise on a border wall -- now branded as a "smart, strategic, see-through steel barrier" -- are likely to go nowhere, but he did make some news during the speech. Trump is set to meet with North Korean leader Kim Jong-un at the end of this month in Vietnam in their second round of in-person talks. If you were looking for memes, this State of the Union delivered, from President Trump’s crooked tie to Speaker of the House Nancy Pelosi’s mocking clapping and reading ahead, to women members of the House of Representatives wearing white in tribute to the suffragettes. Don’t look now, CPG brands, but Amazon is gaining on you for the title of world’s most-deep-pocketed marketer. The ecommerce and technology giant hiked its marketing spending by 30% last year to $8.2 billion, putting it within shouting distance of Procter & Gamble and Unilever, according to Campaign. The spending boost also signals a change of heart by Amazon CEO Jeff Bezos, who once said advertising is "the price you pay when your product is unremarkable." Marketing trade journalists are losing a valuable analyst source. The very quotable Brian Wieser, most recently a senior analyst at Pivotal Research Group, is moving to WPP media network GroupM to serve as global president of business intelligence. He’ll work across GroupM and WPP to counsel clients, according to The Wall Street Journal.